Tampa, Fl. (February 14, 2018) – Port Logistics Refrigerated Services (PLRS), Port Tampa Bay’s newest tenant and the operator of a new state-of-the-art cold storage facility, confirmed today that it received its first shipment of perishable products. More than 3,900 pallets of bananas from Ecuador were delivered from the ship MV Wild Lotus, and were unloaded at Berth 219 adjacent to the new PLRS 135,000 square foot refrigerated warehouse. 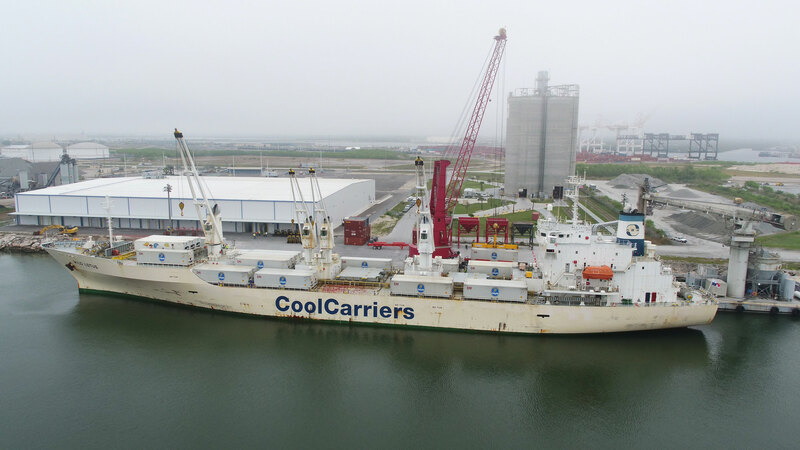 “This is an important milestone for Port Tampa Bay and our strategic partnership with Port Logistics Refrigerated Services by offering a new cold supply chain solution to customers in Florida, the Southeast and beyond. It enables us to provide significant savings in their truck delivery costs,” stated Port Tampa Bay CEO Paul Anderson. 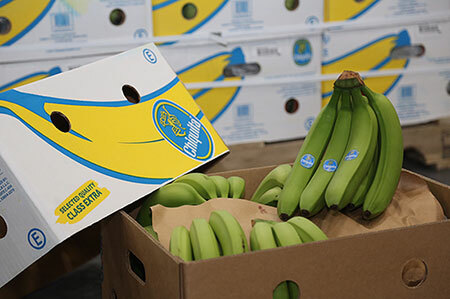 “Port Logistics Refrigerated Services is proud of its ability to handle the first delivery of bananas through the Port in almost two decades. Our brand new refrigerated terminal efficiently handled the transfer of the 3,900 pallets of bananas. I expect this will be the first of a long line of diverse frozen and refrigerated food products to move through our terminal with destinations to central Florida and the southeast U.S. It also validates the public-private partnership in bringing this terminal to reality,” said Richard Corbett, well known Tampa developer who financed the PLRS terminal. Port Tampa Bay’s Chief Commercial Officer Raul Alfonso added, “We are honored that Chiquita has entrusted us with this first shipment. This is an important first step in our efforts to demonstrate how Port Tampa Bay can now provide one of the most efficient gateways for produce and perishables in the region”. Port Tampa Bay is Florida’s largest port and the largest economic engine in west central Florida, supporting nearly 85,000 jobs and generating over $17 billion in annual economic impact. In addition to being a top 10 U.S. cruise port, the port handles a wide array of bulk, break bulk, containers and roll-on/roll-off cargoes, and is a major shipbuilding and repair center. Port Tampa Bay was honored as 2016 Best Port Operator by Lloyd’s List. For more information, visit www.portTB.com.